Review of This Being – by Jill Stoner, in Canadian Architect, October 2017 issue. Solo Exhibition – October 14 to December 10, 2017. Ingrid Ruthig: Re|Visions was exhibited at Station Gallery in Whitby, Ontario. Television Interview – Guest author on “Telling Stories with Jules Carlysle”. Episode 3 of the 2016-17 season, originally aired in Ontario on Rogers TV during September and October 2016, and repeats throughout 2017. Instructor Resources – If you teach poetry, visit the Porcupine’s Quill website for Ingrid’s “Unpacking Poetry: Exploring the Essential Poets Series” instructor resources. 2014 Miscellany – “Antoinette’s Head” exhibited at Station Gallery’s “Drawing for Art” 2014. || Poem in MESS: The Hospital Anthology (Tightrope Books). || Contributor to “A Rewording Life” project, an anthology edited by Sheryl Gordon in support of language, memory, and the Alzheimer’s Foundation, to be released in 2015. || In fall, a community TA for the University of Pennsylvania’s Coursera MOOC “Modern & Contemporary American Poetry” (or “ModPo”), facilitated by Professor Al Filreis. Event Host & Interviewer – An evening with Red Maple Nonfiction Award-winning author Bill Swan at Whitby Public Library’s 2013 “November Noir” event. Artist’s Book – 2013. BinaReCodings: ‘In the beginning was the word’ toured North America with Art House Co-op’s “Sketchbook Project 2013” and the Brooklyn Art Library, Brooklyn, NY. Read about the project in the Wall Street Journal. Recommended Read & Curator – Richard Outram: Essays on His Works listed in Open Book Ontario‘s “Recommended Reads – Cobourg and Port Hope”. Curator of March entry about Outram’s former home at 81 Pine Street South in Port Hope, Ontario — Open Book Ontario‘s featured Ontario Literary Landmark. Sketchbook Project 2013 – The project, run by Art House Co-op, an independent Brooklyn-based company that organizes global, collaborative art projects, toured North American cities from March to August and is permanently housed in the Brooklyn Art Library. View Ingrid’s BinaReCodings: ‘In the beginning was the word’ book page, or online in the Digital Library, or in person at the Brooklyn Art Library. Event Host & Interviewer – “Cracking the Mystery of the First Novel”, Whitby Public Library, with authors Ruth E. Walker and Allison Baggio during the library’s annual “November Noir”. Review in National Post – July 28, 2012 print edition. Nov 3 – Dec 23 “Allan’s Artists”, Silverstone Gallery, Pickering. Poem Included – Poet to Poet anthology “written to, about, or in the manner of other poets” (Guernica Editions). Book Reviewed – Richard Outram: Essays on His Works (Guernica Editions, 2011) reviewed on Northern Poetry Review and NewPages.com. Two-Book Review – written for Northern Poetry Review. Spring Show – “Drawing for Art”, Station Gallery, Whitby. Associate Editor – Northern Poetry Review (NPR). New Poems – Gloomcupboard magazine online. Interview – Northern Poetry Review (NPR), with fellow poet Leigh Kotsilidis. Poems Selected – Poet to Poet anthology (Guernica Editions, 2012) and Mess: the hospital anthology (Tightrope Books, 2013). Juried Exhibition – “Rock, Paper, Scissors”, Station Gallery, Whitby (Fall 2011). Event Host & Interviewer – “November Noir”, Whitby Public Library, with author Robert Rotenberg. Literary Landmark – Open Book Ontario article about home of Canadian poet Richard Outram. Find Richard Outram: Essays on His Works at Guernica Editions. Interviews – “On Writing and Mixed Media, with Ingrid Ruthig” in Open Book Ontario | “Who’s Who” by Heather O’Connor for WCDR’s WordWeaver. New Poems – The Antigonish Review Volume 42, No.165. Spring 2011 Shows – April, “Drawing for Art“, Station Gallery. 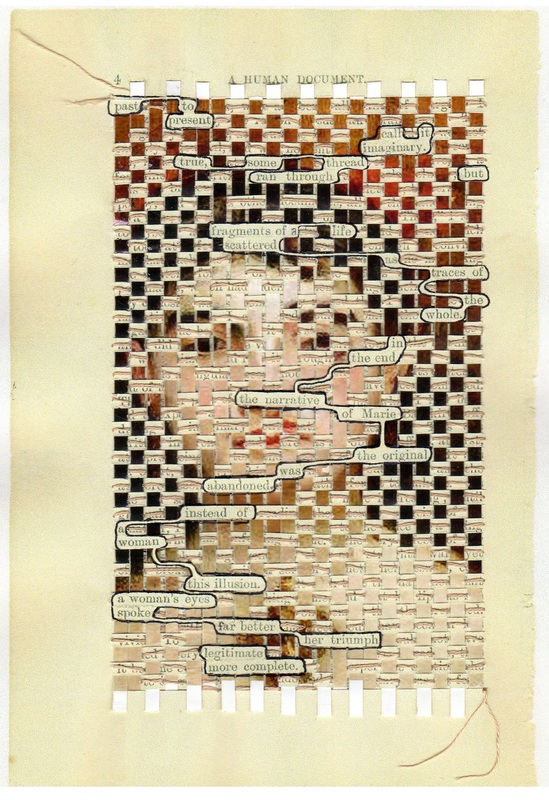 Jan – Apr, “Slipstream” textwork series, Aurora Cultural Centre. Event Host & Interviewer – Centennial Building, Whitby, with Whitby Public Library, for the Canadian launch of Susanna Kearsley’s latest novel. Listed Author – Durham Region Local Authors Database, hosted by Ajax Public Library. “Seven Questions, Now and Then” – Featured on RAW “Reading As Writers” online. Book Review – Northern Poetry Review. Moez Surani’s poetry collection Reticent Bodies. Interview – Maisonneuve magazine, with Rabindranath Maharaj about his novel The Amazing Absorbing Boy. Experimental Poems – Ditch, anthology 4 (canadian) (innovative poets), Trainwreck Press. Poems – Gloom Cupboard magazine and Grain (Volume 36.3) literary journal. Reviews – Quill & Quire (Dec ’09) and Northern Poetry Review. Reading & Discussion – “More Than Meets The Ear: Artists and Writers in Dialogue”, an evening of readings/discussion among artists & writers with work featured at ‘Artspace on the Mezzanine’, Clarington Public Library, Bowmanville. Editorial Board member – 2000 to 2007, of Lichen Literary Journal/Lichen Arts & Letters Preview (editor, poetry & visual art).